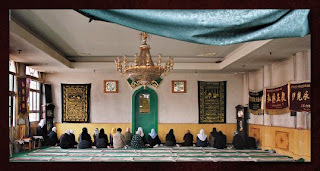 "The Hui encourage their Muslim women to seek employment in mosques as nu ahong — the phrase is derived from the Persian word akhund, meaning “teacher.” Among these women are those who live in small apartments within the mosque or within an affiliated Muslim school and receive salaries, just as an Imam would, while a smaller number live with families and volunteer. Some nu ahong serve in mosques that are entirely separate from men’s mosques, but most cordon off and use rooms within men’s mosques. In addition to presiding over nu si (women’s mosques), a nu ahong’s duties may include ritual guidance at marriages and funerals, preaching, resolving political and social disputes, and offering moral guidance and counseling. But perhaps her most important work, given how Islam values women as the first teachers of children, is that of educator of the Arabic language, the Qur'an and the Hadith. The nu ahong occupy a unique position in the Chinese Muslim community as women who perform all the same functions and duties as a male Imam, but do so only for their female peers; as a result nu ahongs have successfully avoided criticism or harassment from their male counterparts and have carved out a niche for themselves as learned, respected leaders." "The precise role of the nu ahong varies greatly from mosque to mosque, school to school and region to region, depending on the needs of her community. Some help women with literacy; others teach the Qur’an; still others give girls from disadvantaged backgrounds a basic education that enables them to teach themselves or even go on to a university. This aspect of Hui society has been instrumental in keeping Islam alive in China. Because they wear head scarves known as gai tou that cover the hair and sometimes the neck, run shops that sell Islamic goods, participate in public markets and serve in religious and educational roles, Hui women have carved out for themselves a measure of space in the public sphere. For them, a lifestyle that is qing zhen (“pure and true,” equivalent to the Arabic halal) is expressed by maintaining Muslim schools, homes and families, and by marrying within the community." Too much academic and "thinktank" research is based on poor methodological engagement, and repackaging hearsay and assumption in the guise of intellectual contribution. We hope that the EMRC, in partnership with communities and other academics will provide an alternative to this kind of work. As part of this, our centre will engage not only with Muslim communities, but also policy-makers and organisations such as the police. As those police officers remind us in today's report, this kind of violence isn't happening in a vacuum – and is more than the actions of a few mindless thugs. Politicians, ranging from the fringes of UKIP and the BNP, to serious mainstream politicians in the Labour and Conservative parties, not only feel that there is no social or political penalty for attacking Islam, but that not attacking Muslims enough risks being politically outflanked. Their first report "Islamophobia and Anti-Muslim Hate Crime: a London Case Study" is available to read online here with related publications here. But Ambreen Sadiq, a 15-year-old schoolgirl from Bradford, has overcome opposition in her community to win her latest fight and aim for the 2016 Olympics. Hailed tonight as a “pioneer” by the Amateur Boxing Association, Ambreen has already won the national female championship for her age and weight. 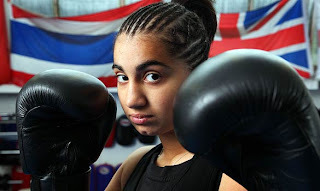 You can view the Channel 4 documentary Ambreen: The Girl Boxer here. It isn’t just (a minority of) Muslim women who wear the veil. What about weddings? Lovely summer Saturday, happy bride arrives at the church, ding, dong, over here for the photos please, hold on, here’s PC Plod, what’s he up to? No, surely not, oh I say, that’s outrageous, he’s ripping off the bridal veil, he’s jumping up and down on it. Groom rushes out to intervene, inevitable fracas, would-be Mr and Mrs So-and-so spend their big day in the cells. How about long fringes? Heavy make-up? Sunglasses? Furry animal suits as worn by mascots at football matches? Cricketers facing fast bowling (but not the spinners)? Am-drams putting on Equus? Pantomime horses? People who run the London Marathon dressed as medieval knights? Who’s under that helmet? Is she oppressed? Has she got a bomb? A couple of miles north of my house is Stamford Hill, an area of North London popular with orthodox Jews. Big bushy beards, thick specs, oversized black hats, plus the women are fond of wigs. I have to tell you Nige, their faces are pretty well covered, it’s hard to say who’s who under all that gear, all that hair. What shall we do? Ban the big hats? The specs? Best be on the safe side, best chop those big beards off as well, like the Nazis did with the rabbis on Kristallnacht. Nige admits that the razor-sharp minds staffing UKIP’s policy unit haven’t yet fully thought through how such a ban might work in practice. Too right." The Guardian (21 January 2010) carries an interview with Omar Deghayes, detailing his time at Guatanamo Bay, how he got there and how he is coping since his release. As with many others written before, this is a painful account of what this man suffers although you can see he does not dwell on his treatment. It is also painful reminder of what rights a Muslim sometimes really has. Deghayes says his suffering made his faith stronger; it helped him ­survive. "We knew there's a Muslim [God] ­behind things, there's a hereafter, our patience and hardships will be ­rewarded and the pain has to end sometime. Our religion teaches these things – the good always prevails and the bad is only temporary; the patience of Job, the patience of Moses. All these teachings make a difference." Praying five times a day delivered ­transcendence, removing him from the material world of bodily suffering. "My body and physical being can be chained, can be tarnished, can be beaten, can be raped," he says now, "but not the spiritual: that is something that nobody can bind down. The spirit is what makes us who we are." Stafford Smith believes Deghayes has fared better than many veterans of Guantánamo since his release because he had the support of his family, an ­education – and because he has taken a very positive approach to his experiences. "He's not just sat back and taken it; he's tried to do something positive. Omar works a lot with us to try to help other prisoners who are still in Guantánamo. He's also always been up for a good argument or a good ­debate." BBC2 recently aired Muslim Driving School, a programme set in the North of England and focussing on Muslim women trying to learn to drive. What the programme actually does is explore their lives - family, faith, marriage and the way they interact with the world. It was good to see a range of women; white and non-white, English, of Pakistani origin, young and old. In particular there were two older Pakistani women, one shy and one more vocal and it was good to see women from this group as often these are the ones whose voices are heard the least. "Verily I, the servants, the helpers, and my followers defend them, because Christians are my citizens; and by Allah! I hold out against anything that displeases them. Verily, they are my allies and have my secure charter against all that they hate.No one is to force them to travel or to oblige them to fight. The Muslims are to fight for them. If a female Christian is married to a Muslim, it is not to take place without her approval. She is not to be prevented from visiting her church to pray. Their churches are to be respected. They are neither to be prevented from repairing them nor the sacredness of their covenants." "A remarkable aspect of the charter is that it imposes no conditions on Christians for enjoying its privileges. It is enough that they are Christians. They are not required to alter their beliefs, they do not have to make any payments and they do not have any obligations. This is a charter of rights without any duties! The document is not a modern human rights treaty but even thought it was penned in 628 A.D. it clearly protects the right to property, freedom of religion, freedom of work, and security of the person." "A standoff between Whitehall and Britain's largest Muslim group ended last night when the government lifted the suspension of formal relations with the Muslim Council of Britain. A spokesman said: "The MCB restated its longstanding commitment to work with all faith communities, and to speak out against all forms of racism and antisemitism. 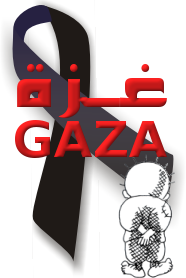 It also affirmed its deeply held belief that speaking out against the actions of Israel does not mean supporting attacks on Jewish communities around the world. The Muslim Council of Britain also outlined unwavering support for British troops. If there is any objection to be had, it would be directed to the leaders who send them in harm's way." This post is slightly off-topic, but I wanted to share this talk by Sheikh Abdul Hakim Quick. I listened with my daughter one day and we both enjoyed it. I especially found helpful his message of the Ummah looking inwards at our own condition, of questioning how we treat each other, particularly our sisters and of creating formal networks and sharing resources which help us to take care of those in our community who are in need. In them will be Fruits, and dates, and pomegranates: Then which of the favors of your Lord will you deny? (Ar-Rahman - 68-69). Some of the benefits of the fruit include that it has antioxidant, antibacterial and antimicrobial properties. In alternative medicine, it has been used to treat diabetes, heart disease, and cancer. 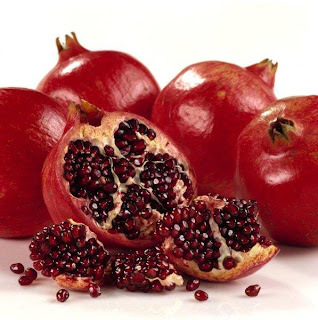 Extract of pomegranate has been shown to fight against staph, salmonella and some kinds of strep bacteria. In the dental field, it has been found to inhibit the formation of the bacteria that causes plaque, aid in healing after periodontal procedures and reduce signs of chronic periodontitis. In a 2004 study by the Iran National Nutrition and Food Technology Research Institute, type II diabetes patients significantly reduced their cholesterol levels by consuming pomegranate juice concentrate daily. The fruit is also used in many cures in traditional Islamic medicine. "Roshni was once Ruth Forrest, from East Kilbride, who went to Sunday school at her Baptist church. Now aged 26, she is the winner of the Young Scottish Muslim of the Year Award and is devoted to Islam. The 2008 awards will take place on October 30 at Celtic Park and they aim to highlight the good young Muslims are doing every day in Scotland. Roshni has been blind since birth but was brought up to never allow her disability to hold her back. She said: "I grew up in a family where the attitude was, 'OK you might not be an aircraft pilot, but you can do anything else?'." They didn't expect that one of those things would be for her to convert to Islam. Now Roshni is the Scotland representative of Transatlantic 2020, an international initiative designed to build relations between the US and Europe post 9/11 and 7/7. She also works for Inclusion Scotland and Glasgow Equalities partnership, breaking down barriers for Muslims and the disabled. She was nominated last year for Young Scottish Muslim of the Year by the British Trust for Conservation Volunteers." "I find this whole subject uncomfortable because I don’t really know what I think; I change my mind constantly. I start off, as most people would, from the point of view that everyone should be allowed to wear what they like, regardless of how peculiar it might strike others as being, without being dictated to. The Muslim world was inventing mathematics and architecture when the French were practically still trolls, grunting away in the mire and not looking forward to the annual rinse of the armpits. There are many things wrong with the Muslim world but the idea that its ordinary, non-bonkers, non-extremist millions need to be “civilised” into knowing what’s what sticks in the craw." 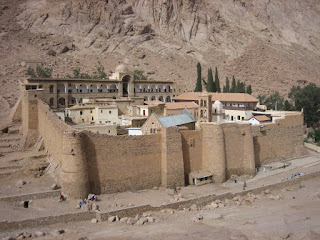 "It is written in the Qur’an, “Whoever saves one life, saves the entire world.” It is written in the Talmud, “If you save one life, it is as if you have saved the world.” And there was a time not so long ago when, once again – the Spanish Inquisition being another – Muslims came to the aid of Jews during their darkest hour. During that time of systematic persecution, it is nearly impossible to accept that there was one country in Europe that saw its Jewish population grow. But that is exactly what happened in Albania and Kosovo - Jews were safe there. Muslims ignored the grave risks to themselves and sheltered not only their Jewish neighbours, but also thousands of Jewish refugees fleeing Nazi terror. “During the Nazi occupation of Albania,” states Johanna Neumann of the US Holocaust Memorial Museum, “there is not one confirmed instance of a Jew being handed over to the Nazis by a Muslim Albanian.” By contrast, in Macedonia, just 170 miles from the Albanian capital, the oldest Jewish community in mainland Europe was exterminated." You can read more and subscribe to read the full article here.